Early reviews for The Spectacular Spencer Gray are in! Early reviews for The Spectacular Spencer Gray are coming in and it’s hard not to be delighted. I’m including a few snippets here for those interested. Thank you to readers and reviewers alike and I look forward to seeing quite a few of you, along with your wonderful librarians and teachers, during Children’s Book Week! 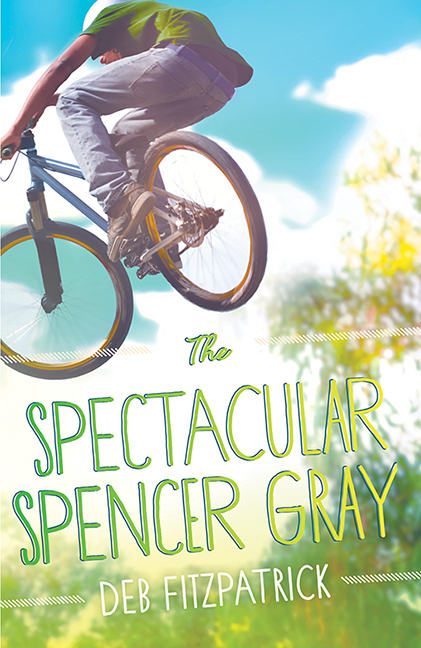 The Spectacular Spencer Gray is a fast-paced, addictive read. It’s fresh, relatable and full of intrigue and adventure. With devious crooks, daring escapes and midnight missions, kids won’t be able to put it down. Avid readers will love the intrigue and flawlessly written characters, and more reluctant readers won’t be able to resist the action-packed capers of Spencer and his mates. Boys in particular will love this one, and it’s the kind of story that can kick-start a love of reading. Deb Fitzpatrick’s Spencer Gray books are engaging and full of adventure, with a protagonist who uses courage and ingenuity to get out of the most extraordinary of situations in a spectacular fashion! It’s refreshing to come across a book which is fun but touches on serious subjects, is laconic but allows the reader to learn something (surreptitiously!) and is action-packed, but also feels creepily authentic.